$1250.00 (Includes all Materials) . 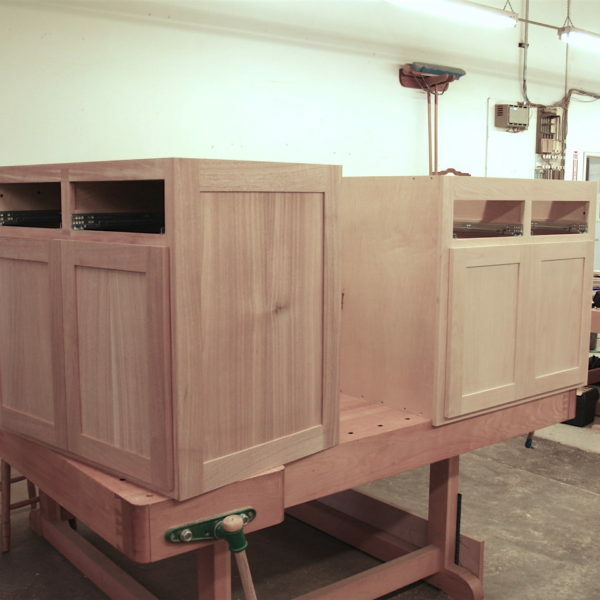 In this class, we will cover different methods and techniques for cabinet construction. These methods can be applied to building kitchens, vanities, entertainment unit, build-in, home theaters or just a stand alone cabinet. We will build a cabinet using face frame, finish ends with frame and panel. We will cover topics such as door making from raised panels to grain matching, drawer construction using dovetail joinery, box joint or lock joints, hardware options and installation. If you are planning to remodel your kitchen or start a cabinet business, this class will definitely help get you on your way.